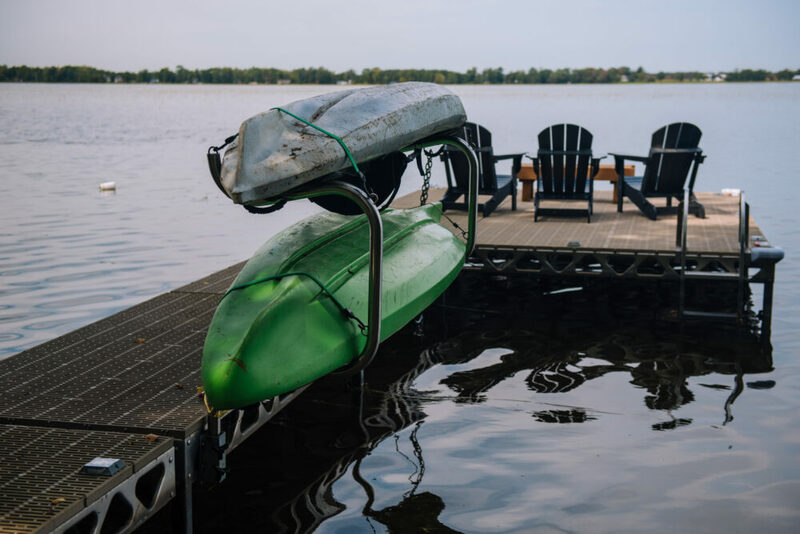 Be the envy of your lake with our Canoe and Kayak Rack. The stainless steel construction with beautiful lines is designed to hold more than just canoes and kayaks. Wakeboards, stand-up paddle boards and much more can be stored. 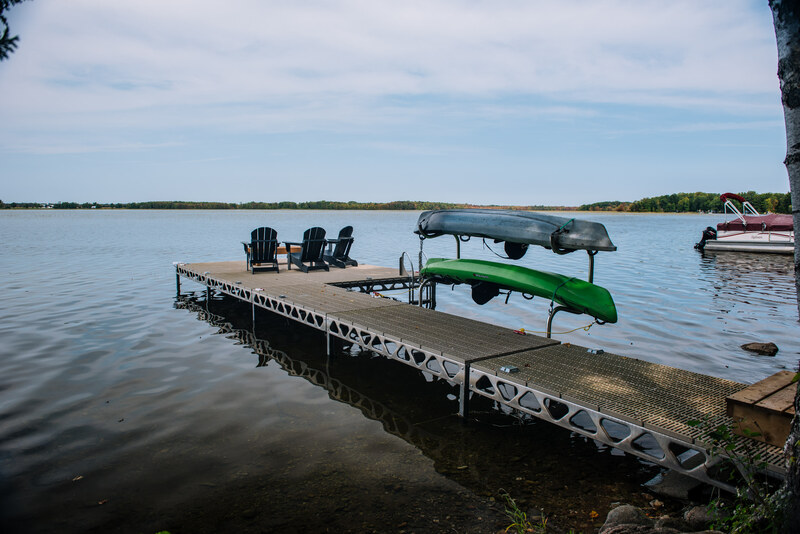 Our unique canoe and kayak rack mounts easily to all of our docks kits with plenty of convenient tabs to connect various straps and bungee cords. 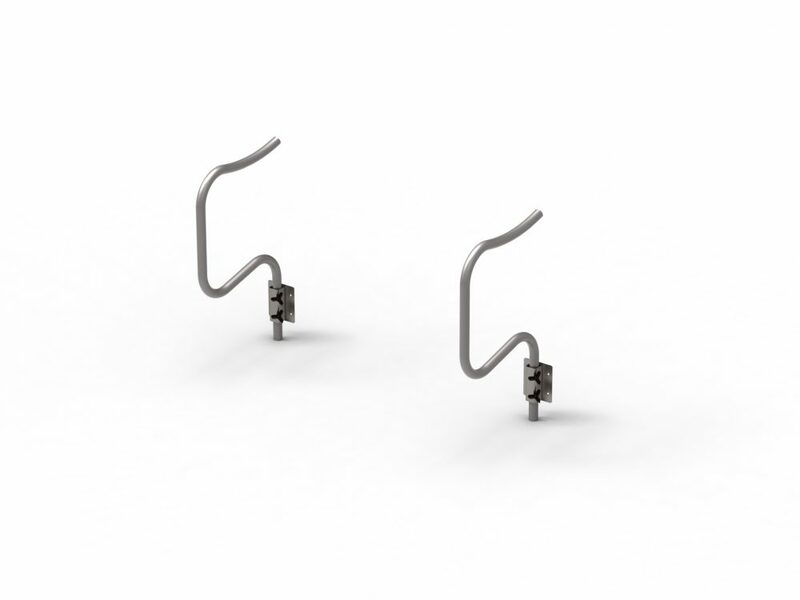 Use our Dock Builder application to add this accessory and many more to your ideal dock configuration! The Canoe and Kayak Rack includes storage bars and mounting hardware.